Is HonorSociety.org a Legitimate Organization? Honor Society Leads the Way. Our society is also accredited with the BBB with an A+ rating. HonorSociety.org is active across the nation - See what's happening near you! When choosing to join an honor society it is important to choose a recognized organization that provides real benefits. HonorSociety.org was established as a technology and benefit driven society. We partner with exclusive services to provide students the tools to succeed. This includes subsidized test prep courses, and foreign language classes, career guides, and job listings. The value of all these resources would be over a thousand dollars per student if purchased individually, but as a society we are able to negotiate special pricing with such exclusive partners. 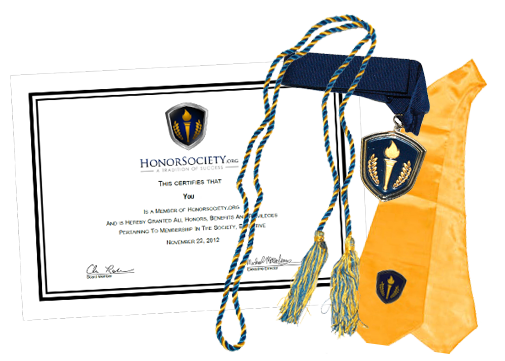 HonorSociety.org membership is a nationally recognized designation with exclusive privileges valued at much more than membership dues ensuring that students get their money's worth.